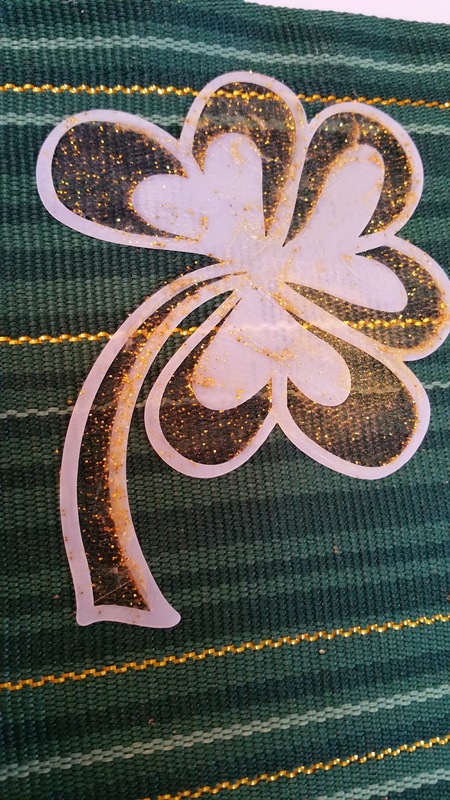 I was so excited to get stencils from The Crafter's Workshop and discover this shamrock! The title of it is actually "Happy Clover Fragment". It's so delicate and beautiful that I needed to use it right away for the upcoming holiday! 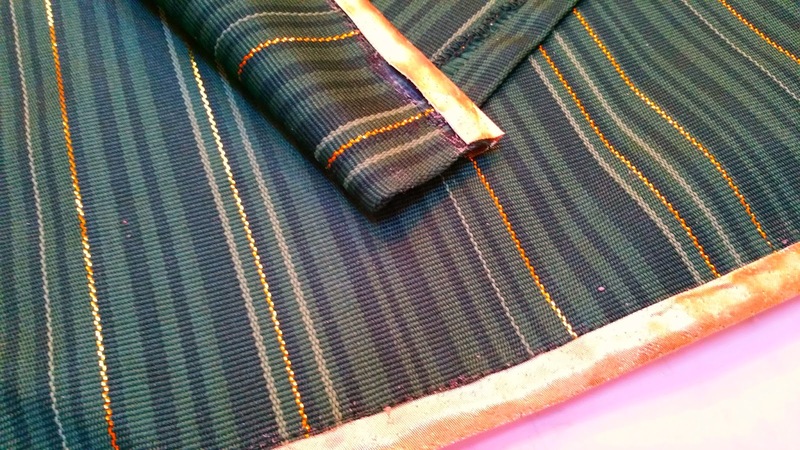 Dashing to my linen storage, I pulled out these green dollar store place mats to prepare them for the stencil. 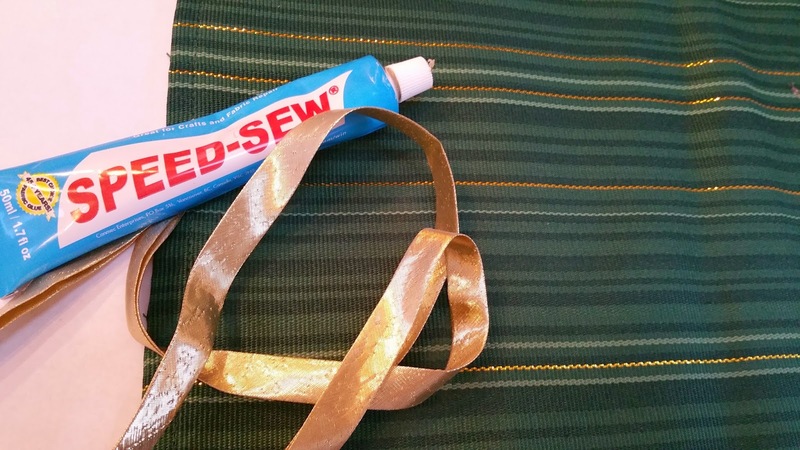 I removed the beads to add this gold bias tape on the edges with Speed-Sew glue. 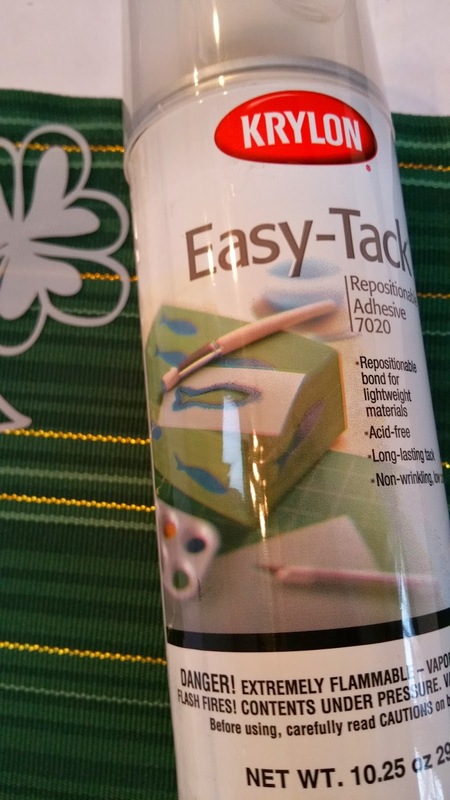 When the glue dried I applied Easy Tack to the stencil so it would stick to the fabric. 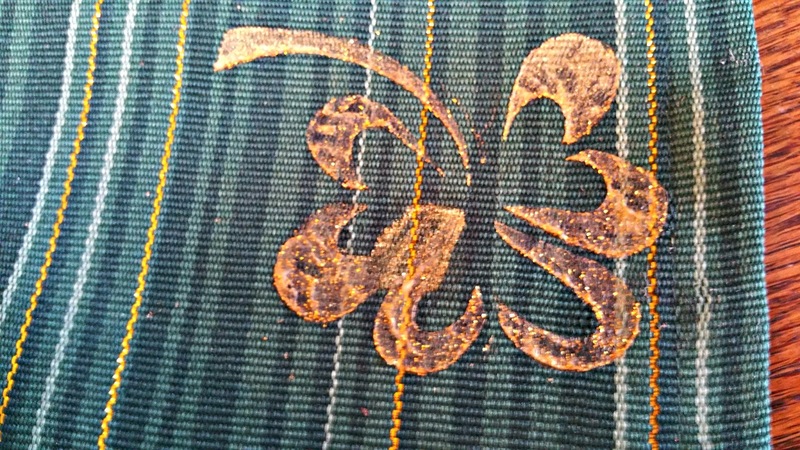 I chose to use gold glitter glue to sponge through the stencil. 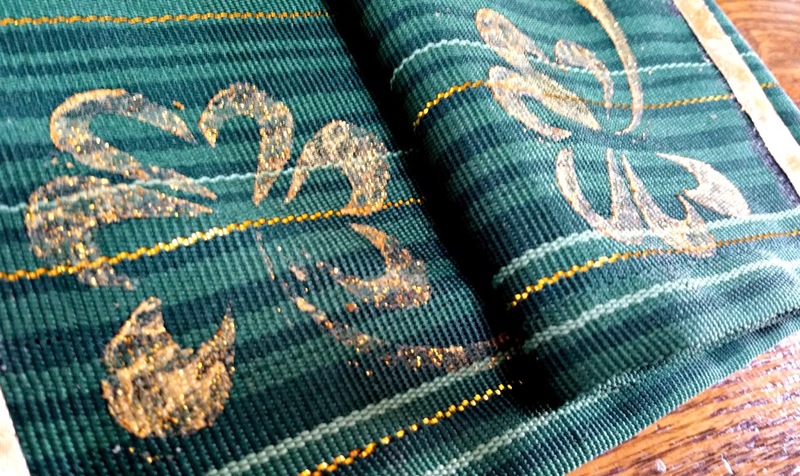 Then applied a light layer of gold acrylic paint. I placed the stencil fragment randomly in all four of the corners. This little creative craft went very quickly and easily! 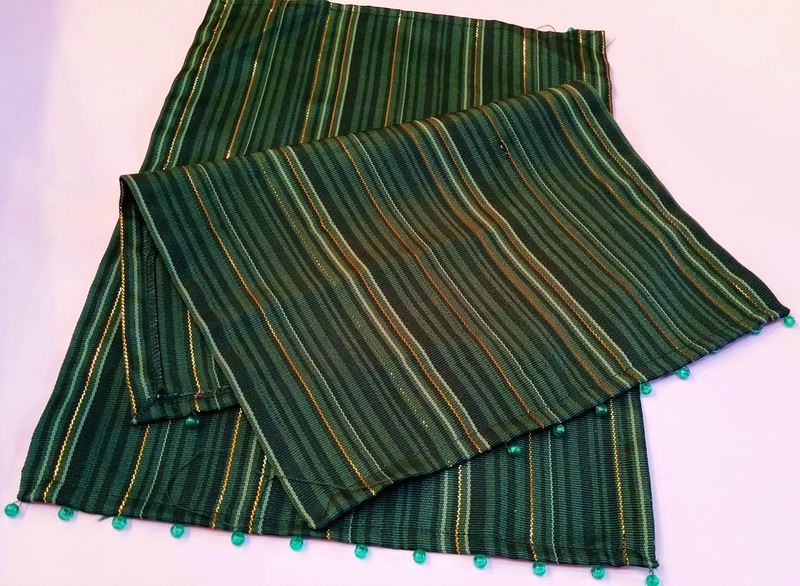 Now these plain old ugly place mats are ready for our St. Patrick's Day table! I still have time to use it on some napkins too. I love it! 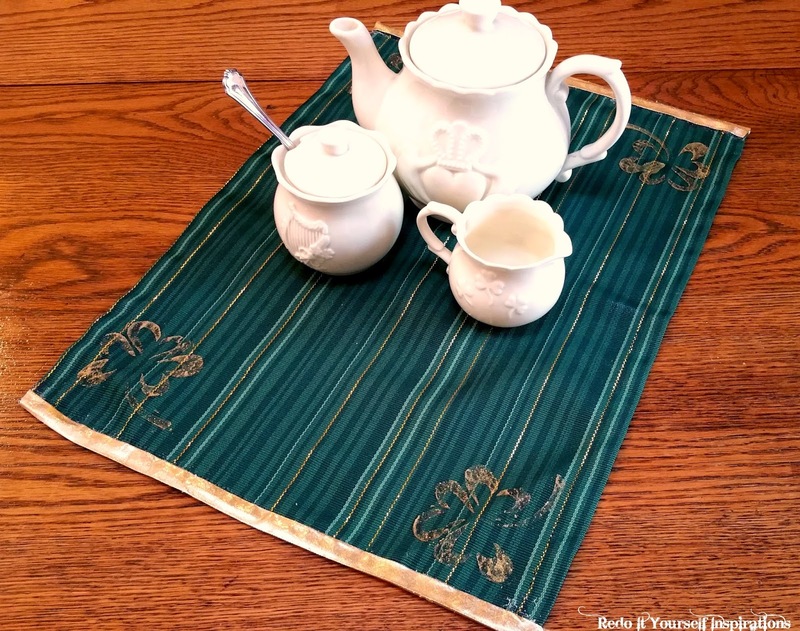 What a great way to pretty up some Dollar Store place mats! So glad you're sharing on the Spring Craft Blog Hop. Hey Owen!!! Thank you so much for the glue! It worked fabulously! This was easy and fun to do. I was just watching your how to videos and truly enjoyed the tips along with so many ideas! 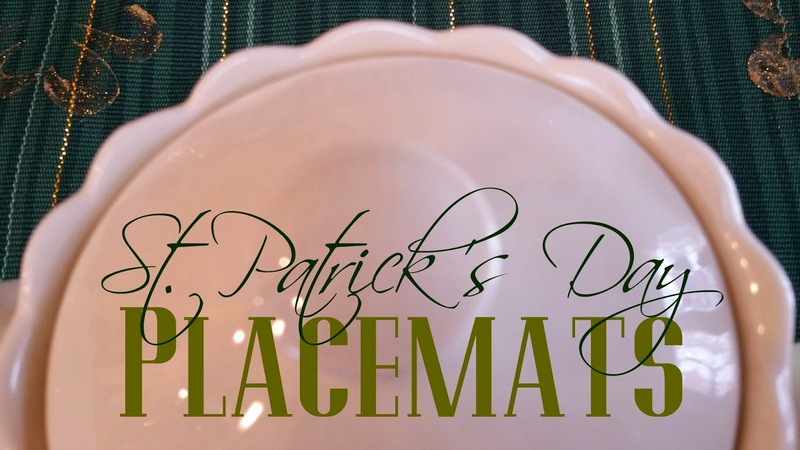 What a fun way to add a little St. Patrick's Day charm to your home! Thanks for linking up at The Creative Circle! I hope you'll join us for the party again this week! They are actually so nice and not too twee ( I say that as an Irish person ) - Thanks for linking up to Pin Worthy Wednesday, I have pinned your post to the Pin Worthy Wednesday Pinterest Board. Thanks so much for the visit and the pin! Aww, thank you, Amber. Such a kind comment! Thanks so much for the pin! Thank you, Linda. So glad you stopped by! Thanks for inspiration, I like this stencil very much. Spring! 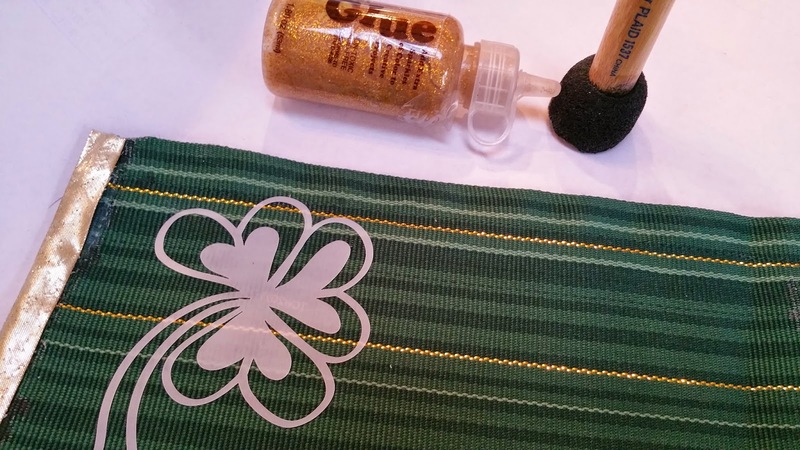 Your placement turned out so cute and will be so much fun for St. Patrick's Day. Thanks for sharing at the This Is How We Roll Link Party at Organized 31. These are really nice! 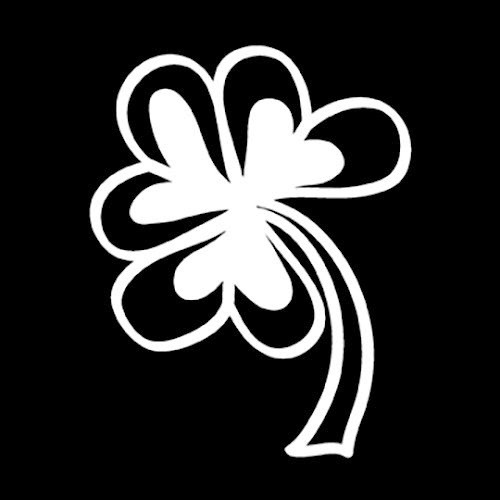 I love the four leaf clover design! Such a great idea! Thank you for sharing with us at Merry Monday! I'm so glad you like this one. We are looking forward to Spring too! Hoping yours is beautiful! Thank you for visiting! Thank you, Christie!! So glad to party with you! Faux Fur Rug from a COAT!